for commissioning these 3 kids comparing their bounties. Well, this is adorable and a half. Really Danund, despite my bias towards just enjoying stuff I'm in, I really feel like this is your best picture so far. 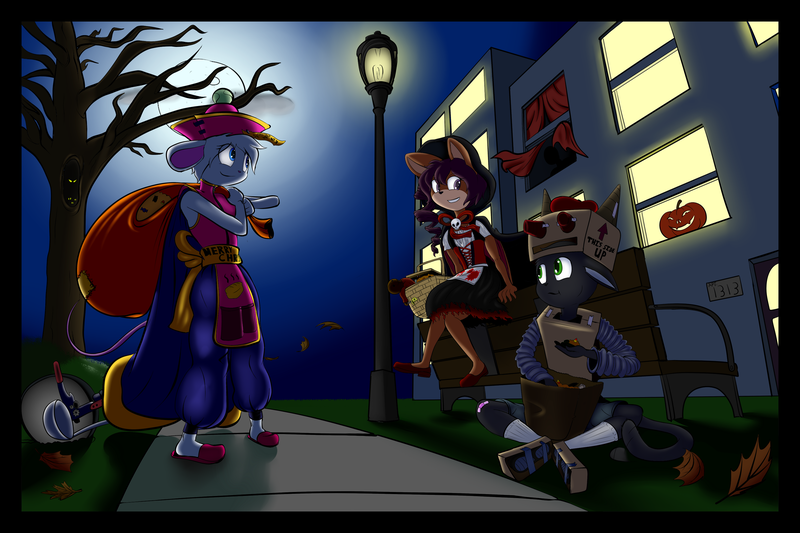 I love how well you caught the atmosphere of Halloween and Trick 'r Treating, and the lighting is awesome. I feel like I'm looking at the cover for a really fun Halloween special! The color came out fantastically as well!